It’s not often that we are given the opportunity to reflect upon the nuances in everyday speech – a peculiar statement to write as part of a society in which communication, across continents, is of paramount importance. Technology is at our beck and call – WhatsApp, Skype, Facebook, FaceTime, all connect us. Paradoxically, these “social” apps also separate us from listening and exploring the intonations present in our daily conversations: we’re either too concerned with the correctness of language or negate aural communication in favour of text-based messages – email and instant chat, for example, promote an aural speechlessness. 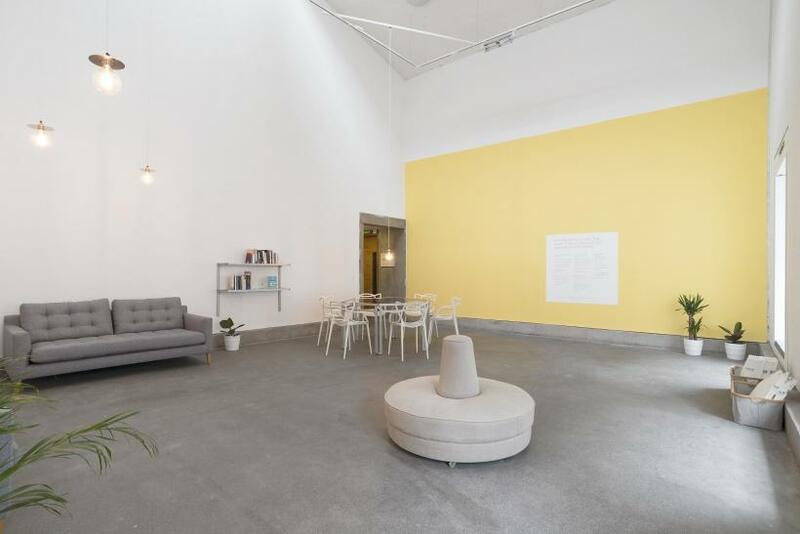 In a counter-motion to this mode of modern living, Emma Smith’s installation, Euphonia, brings The Bluecoat’s audiences into a holistic sanctuary of sound. The gallery is stripped back to its bare essentials: in place of pictorial subjects and colour, we discover tinted and curved Perspex panels which resonate with the aesthetics of 1960s minimalism and American-artist Dan Graham’s geometric pavilions. These architectural cues guide us through a retro-futuristic soundbooth – speakers act as visual anchors with which to orientate ourselves inside an acoustic chamber of soprano, alto, tenor and bass. Gradually, our eyes make way for our ears: we attune ourselves to an aural experience rather than the anticipated visual encounter. 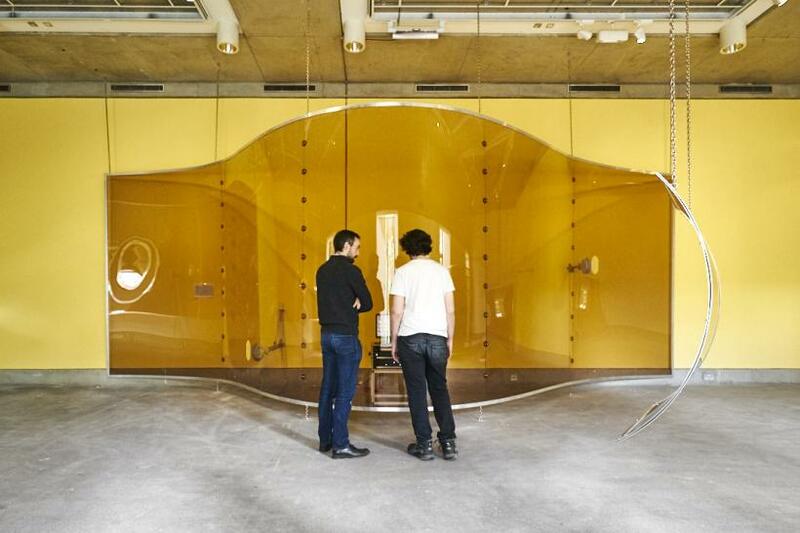 Harmonies and melodic rhythms all glide – and bounce – their way across the installation. There’s a familiarity in the sounds being pushed out of the poised, grey speakers, most of which protrude outwards from the walls. And yet, there are no words, of any learned language. The sounds we hear are devoid of grammar and linguistics – what we experience, instead, are the acoustic patterns of everyday chatter. Through this, the artist promotes the universality of sound over language – there are no language barriers. Still, these sounds are selective: Smith has chosen only the more positive conversations with which to compose from – there are no notes of malice or unkindness. 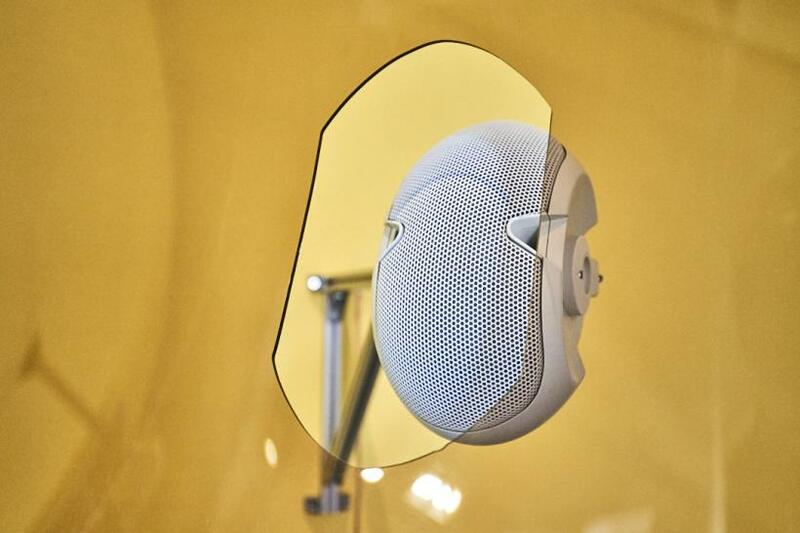 A part of Euphonia is set up to encourage visitors to speak into the installation for themselves. 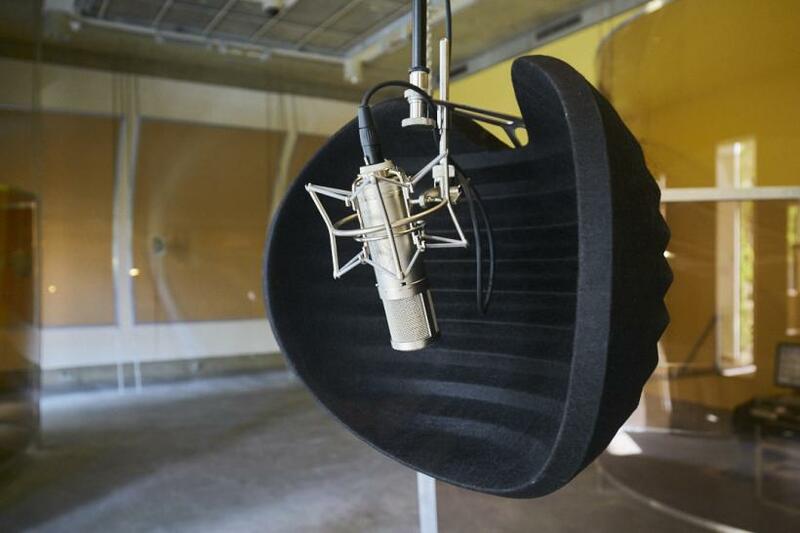 A microphone captures and feeds the tone of the speaker’s voice into the musical score, momentarily altering the pitch of the composition. This comes easily for some, and not so for others – a comparison which reflects upon the different personalities that determine everyday conversation. 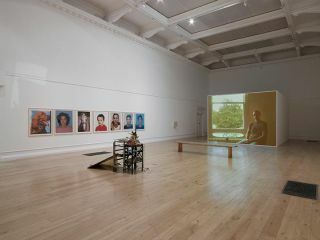 For those who fall within the latter category, The Bluecoat has fittingly scheduled a “Quiet Hour” each Thursday in which the installation’s output is hushed by a few decibels. Regardless of our personality, our identities remain concealed throughout: our language-less voices are integrated into a central computer matrix and replayed as part of the symphony. 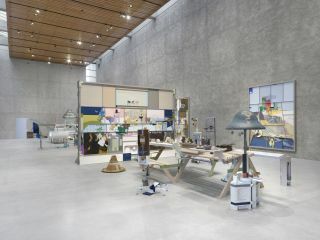 Beyond her centrepiece, Smith has set-up several resource-type rooms: the first, positioned at the entrance of the exhibition, is an online questionnaire that registers your experience of Euphonia. The second, located behind Euphonia, is an enquiry into musical scoring. 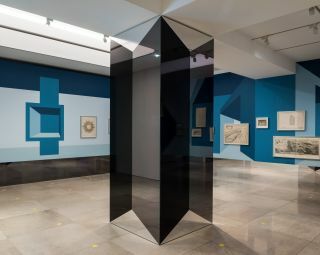 Connected to Gallery Two by the hexagonal shapes of an anechoic foam wall, this room is home to Mephistophone, a robotic mechanism which synthetises movement from sound. Activated by professional-led workshops, this machine turns next-door’s composition into a haptic sequence. Though peculiar in its appearance – with robotic arms pushing synthetic skins up-and-down – Mephistophone narrows the gap between aural, aesthetic and kinetic experience. 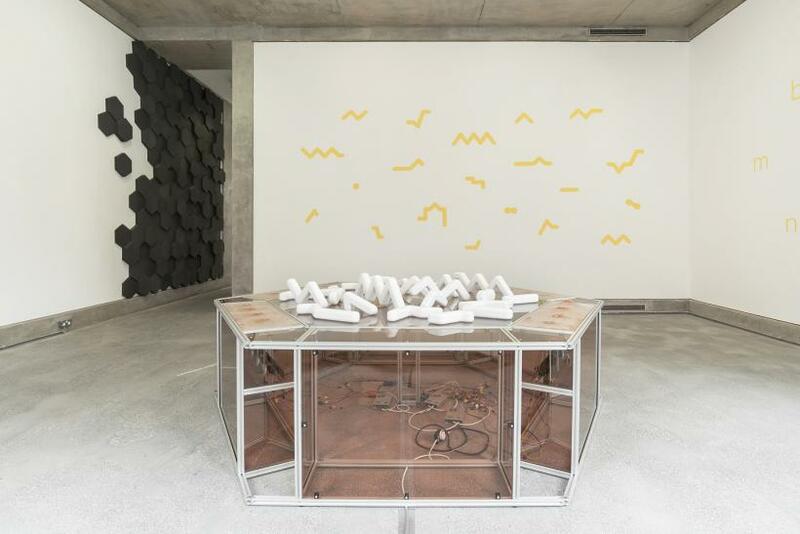 A series of sculptural handling notes and pitch-pattern motifs on the walls of Gallery Three reinforce this “bridging” process and provide an aesthetic appendix through which visitors can visually trace the transposable parts of a musical score. And then there is the matter of Smith’s title-of-choice, Euphonia, which is onomatopoeically euphonic. Linguistically, it resonates with the name given to a group of Neotropical songbirds (whose yellow and black plumage happens to match the sepia palette used throughout the show); historically, it brings to mind the 19th century talking-machine invented by Joseph Faber. Whether or not it is inspired by songbird or machine, the Euphonia installation is able to meld together assets from nature and mechanics to produce a universally accessible choral that celebrates the individual components in collective speech. Upon exiting Euphonia, we comprehend that Smith seeks to blur the boundaries between visual art, science and music. 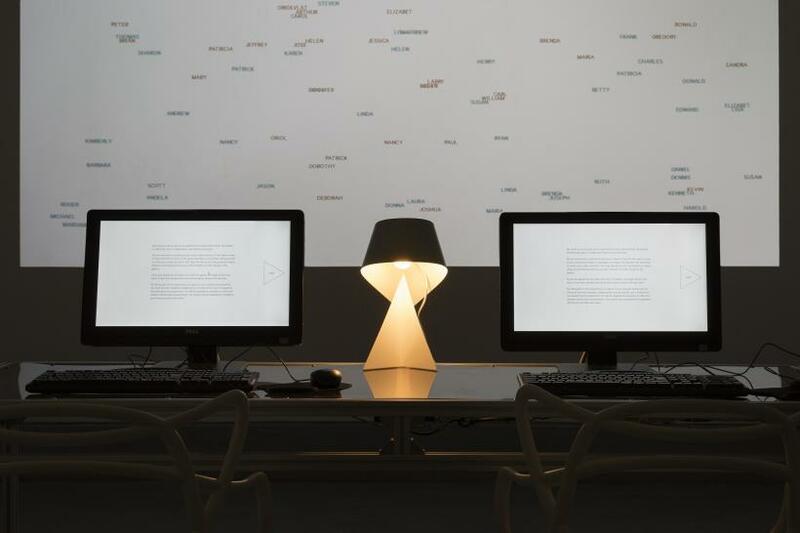 Her collaboration with academics and computer scientists have ensured that the project is cutting-edge across multiple-disciplines – a trait which is so often sought after and not always captured in contemporary art. Though sparse in appearance, the show is inclusive, even to the point where babies and grownups alike can experience new compatibilities between vocal and social interactions. It’s an exhibition that requires attentiveness and consideration, but one which will encourage you to listen out for the interlocking notes that produce affinities in daily conversation.